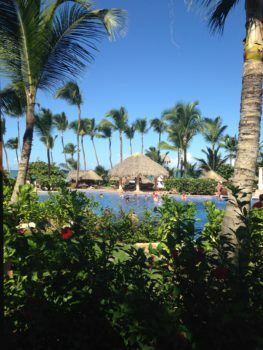 If you are thinking about visiting the Dominican Republic, Punta Cana should be on your list. 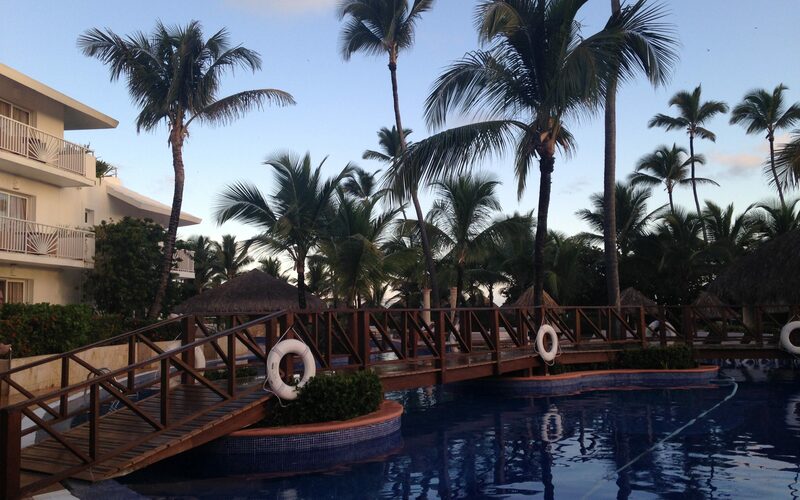 There are plenty of all-inclusive resorts including Excellence. 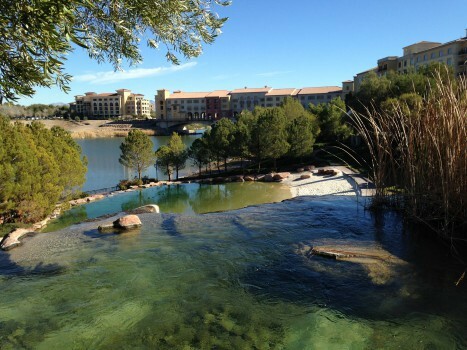 We stayed at the Excellence resort a few months ago and are set to go back this spring. 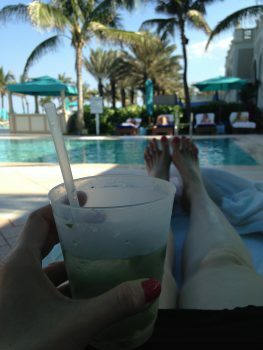 Below I have listed an overview of the property and all of the perks of the resort that we enjoyed. 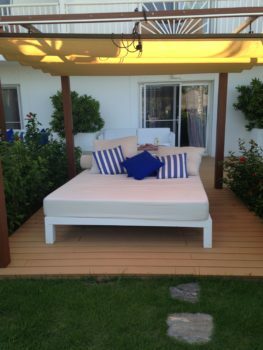 Accommodations: Our room was a junior swim up suite that has it’s own beach bed just steps away from the pool. There are quite a few suite options that include mountain view, garden view, ocean view and ocean front. All suites range in price so it is the perfect place to stay as you can find one that fits your budget. Food: With nine all-inclusive international dining options, one buffet restaurant and beach snack grill, you will not have to worry about getting hungry or hangry in my case. The food was quite good and elegant. 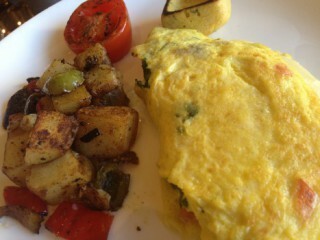 It is not quite as gourmet inclusive as the El Dorado Casitas but we still very much enjoyed it. 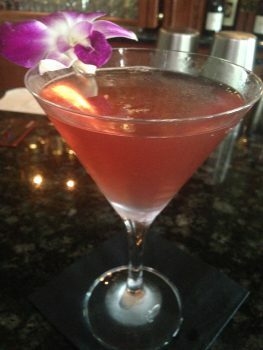 Drink: You may get drunk, but you will not go thirsty. Unlimited alcoholic beverages and soft drinks are just a beck and call away wiith 24-hour room service and pool and beach waiter service. Or you can visit one of the 12 bars on the property! 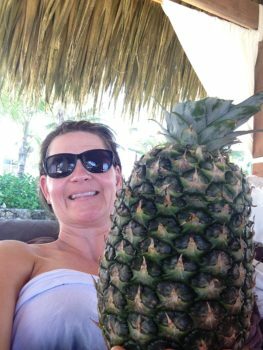 My favorite is the Piña Colada served oceanside in a fresh pineapple. 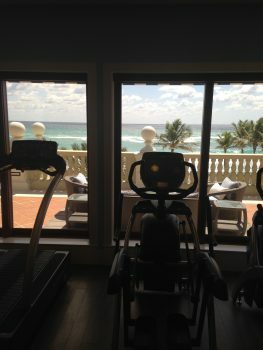 Activities: I was pretty content to just hang out in the beach bed or pool most of the day but I did manage a few workouts in the fully equipped fitness center. If you are not like me and want to get up and go, there are plenty of daily activities, snorkel gear and scuba lessons available. If you wish to venture off the resort, there are plenty of excursions including four wheeling, shopping in the local village, spelunking down the Caribbean’s longest underground cave, golf and more. Entertainment: If you haven’t worn yourself out during the day and are still sober, there is nightly entertainment featuring a different theme show every night you can enjoy. 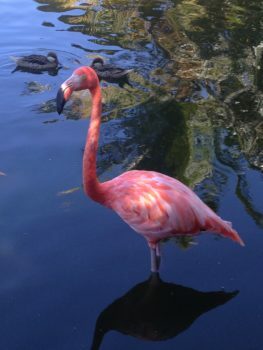 Spa: If laying out in the beach bed all day is not relaxing enough, you can pamper yourself at the Miilé Spa.The grounds of the spa are tranquil and tropical with a flock of flamingos lounging in the nearby lagoon. There are plenty of treatments to choose from including massage, body wraps, facials, manicures, pedicures, salon services and more. I enjoyed a body scrub with a massage and it was heavenly! Service: The entire staff is friendly and ready to serve you what ever your heart desires and being that it is all-inclusive all taxes and gratuities included. Booking Specials: The prices are always changing but there is usually some type of special going on so just check out the Excellence Resort Website for information on rooms, pricing, amenities or any other questions you have. As a traveler I enjoy researching and reading about people experiences on places we may visit so I hope this helps if that is what you are looking for. I need to be clear that I am not endorsing the resort nor was I compensated to write about this. This was a vacation we took and paid full price. We very much enjoyed it and as I mentioned earlier already have a return trip booked. Please feel free to reach out to me if you have any questions by commenting below or contacting me. 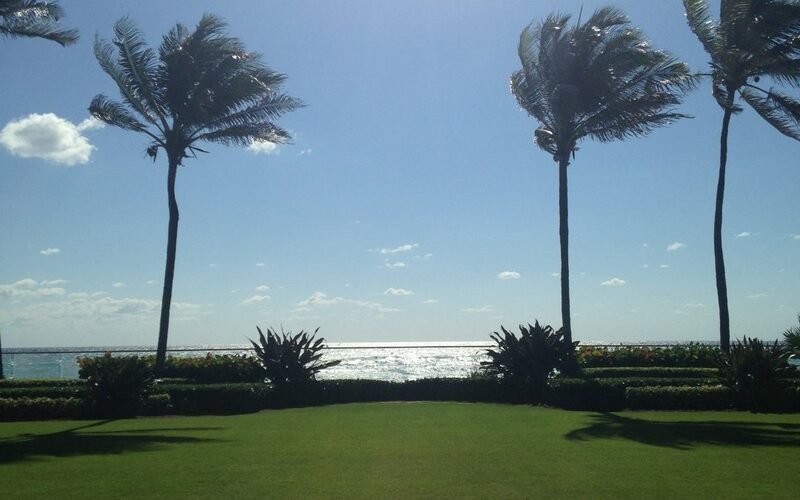 The Breakers Resort in Palm Beach Florida may just be the perfect spot to relax and unwind. 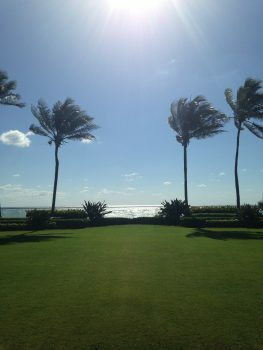 Whether you are traveling, as a couple, with family or friends or even solo, The Breakers Resort will not disappoint. 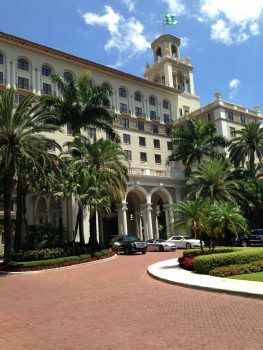 History buffs will enjoy the hearing the story of The Breakers dating back to 1896 and seeing the architecture that was modeled after the magnificent Villa Medici in Rome. 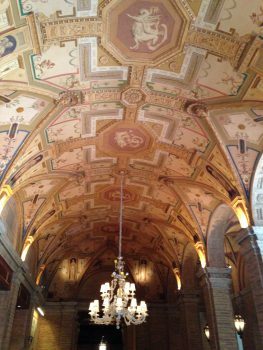 75 artisans were brought in from Italy and together they completed the intricate paintings, detailed across the ceilings of the 200-foot-long main lobby and first-floor public rooms, which remain on display today. 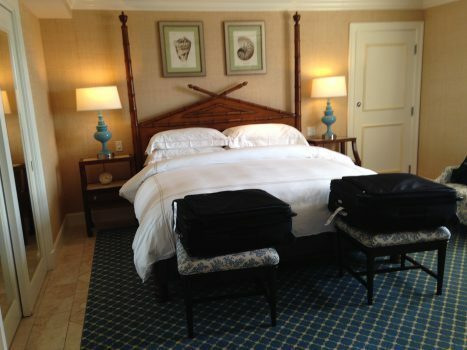 The room accommodations are perfectly polished and well maintained for the age of the property. The bathrooms are sleek and modern with the Breakers own amenities and nightly turn down service will leaves you with a sweet treat to end the evening. Families will enjoy the many activities available such as bike rentals for a family ride, game room, bungalow rental and convenience of the zero entry pool. There is also a kids club available with all day activities so parents can have a little beach time alone! Foodies will appreciate the amazing dining and delicious dishes from over eight dining options including the historic Flagler Steakhouse to the modern Seafood Bar with its incredible views of the ocean along with the fish tank countertop bar you must see to believe. 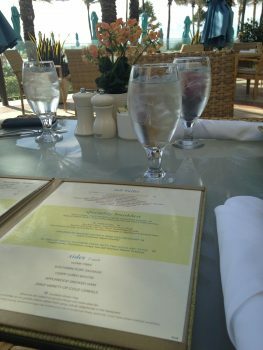 The outside dining options include incredible views of the pristine beach along with dishes to match. If you love fitness, golf or tennis there is no better view than the one from The Breakers well equipped gym facility and personal training center. The golf course facilities are fit for pro’s with a magnificent 18 hole course as well as a training academy for the novice. There are 10 tennis courts available for play from 7 am to 9 pm and private lessons, clinics and junior programs for those wanting to learn the game. 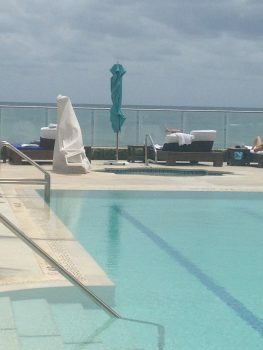 If you are looking to relax and unwind, the spa and many lounge chairs by the pool and beach will do the trick. 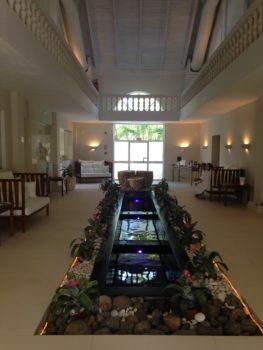 The spa offers a variety of treatments including massages, skincare, hair and nail services and more. 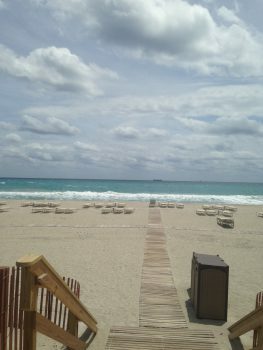 The beach and pool offer a variety of bungalow rentals and lounge chairs and an infinity style 21 and older adult pool. 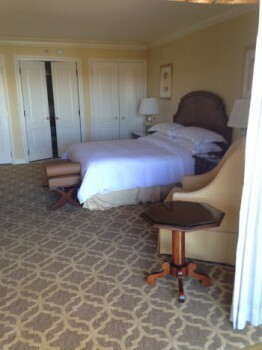 I have traveled to quite a few resorts and The Breakers is by far one of my favorites and on my list to go back too. For more information You check out The Breakers website. Due to my husbands job we travel to Las Vegas every couple of years for a construction convention that is held somewhere on the strip. This year we decided to go out early and enjoy a relaxing weekend before the meetings. 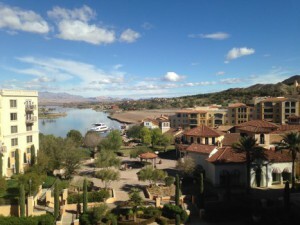 Knowing we would be on the strip for the convention, we chose the Hilton Lake Las Vegas as our getaway which is about 30 minutes from the strip in Henderson, Nevada. 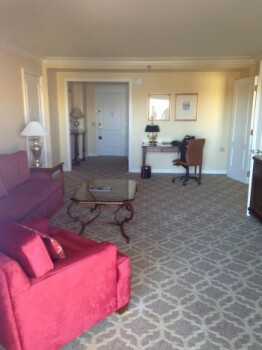 There were a few things I liked about the hotel and few things that could have been better. 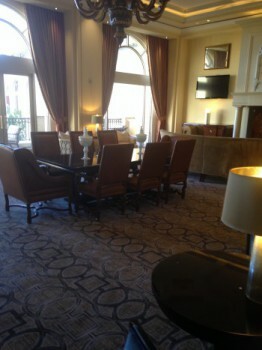 I say check in was easy as it felt like we were the only guests there. 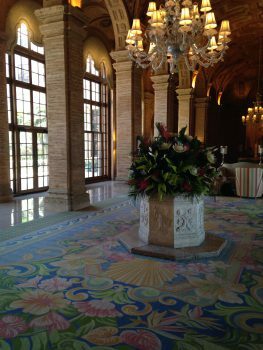 The space is known to host large corporate events and retreats during the week but seemed to be a bit of a ghost town the weekend we were there in early February 2015. This was a toss up for me as it was serine, quaint and quiet which we enjoyed but not seeing very many people made it feel a little deserted. To sum things up I would stay there again. It is a lovely property that just needs a little updating and maybe some good marketing to get things rolling again. 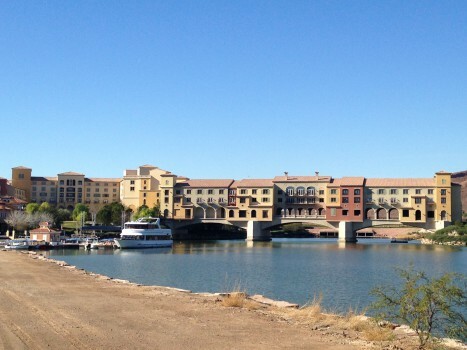 Although, we do like to play a hand of blackjack now and then and will take in a show while in Vegas, it was nice to get away from the strip for a couple of days and enjoy the serine surroundings of Lake Las Vegas. 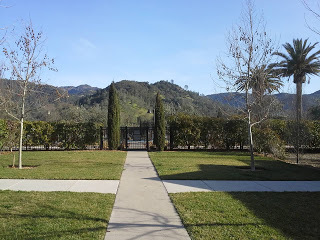 A visit to Nappa Valley has been on my bucket list for quite some time and much to my surprise a friend of mine had been invited to a girlfriend’s weekend getaway and needed a roommate. She asked if I wanted to go. I always imagined it would be with my husband, as I cannot think of anything more romantic than sipping wine in the beautiful mustard covered grapevines. However, with hubbies blessing and him saying…..Merry Christmas, Happy Anniversary, Happy Mother’s Day and Happy Birthday, I packed my bags and kissed him goodbye! The weather was a wee bit chilly but nothing compared to the February winter we were having in Missouri. I even left a day early to beat the Snowmageddon that was due to hit the day my flight was scheduled. Solage Calistoga Resort and Spa will literally astound you. The beautiful grounds host about 80 studios and suites all of which are within walking distance to the main facilities and quite contemporary. Room layouts vary but all are equipped with the latest technology, full sized locally made bath amenity products, luxurious bedding and linens, complementary coffee and tea at the mini bar and each room is complete with bathrobes and slippers. This clip gives you a nice tour of the room we had. Outdoors you will find a comfortable patio with a grapevine-thatched roof and two cruiser bicycles that can be ridden in to town and wineries close by. 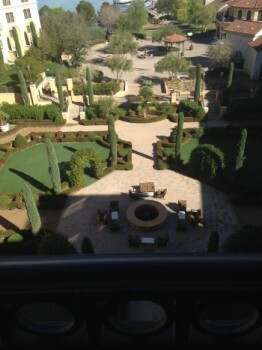 The grounds are pristinely manicured and landscaped with fragrant rosemary and lavender. 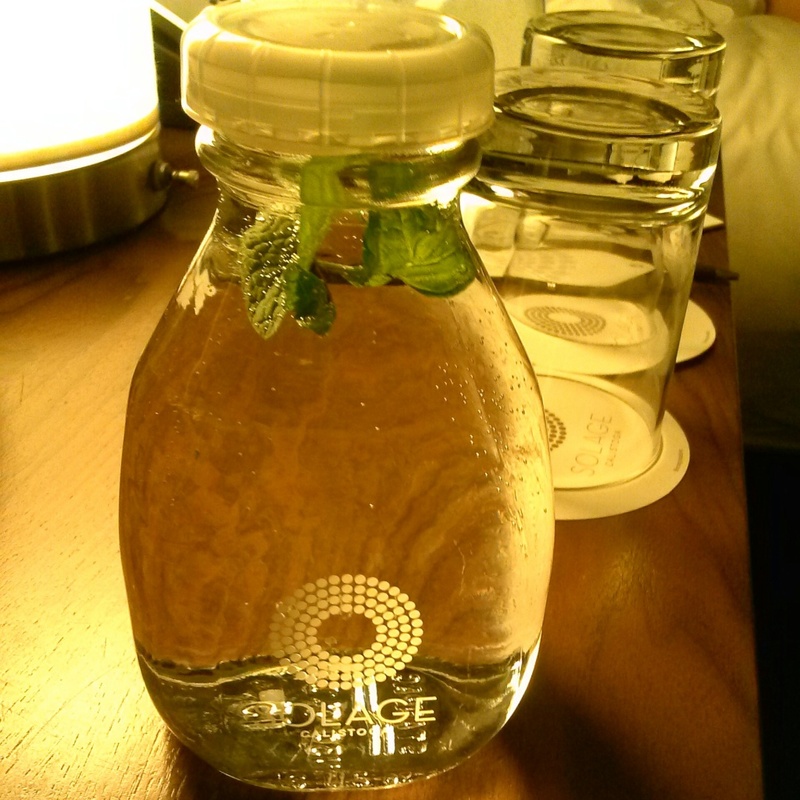 Nightly turn-down service includes a glass water bottle adorned with mint leaves left at the bedside. The water is delightfully tasty and a perfect way to re-hydrate after indulging in wine tours all day. 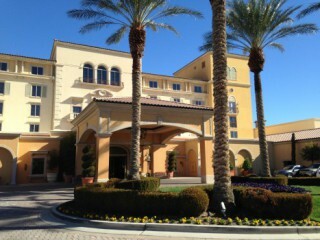 The Spa is phenomenal and our package included Solage’s signature Mudslide treatment experience. 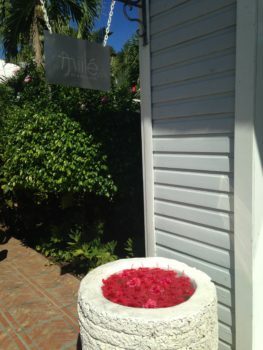 This treatment begins with a visit to the Mud-Bar where you have Mudtenders mix a customized scent using Solage Mud, essential oils and geothermal water. You are then whisked off to the treatment room that can be booked as a group or individual and coat yourself in the mud concoction. After a serene 20 minutes of laying on the warm tiles with cucumbers over your eyes and then a quick rinse, you then make your way to the to the mineral baths in footed tubs. There are curtains separating the tubs if you prefer a little privacy. Following a rinse off from the baths, you will then cocoon yourself in the NASA-inspired Sound Chair that vibrates to music and reclines you to “zero-gravity”. All though you may feel like melted butter afterwards and I mean that in a good way, if you so desire you can then relax in the separate private soaking areas for men and women. These areas include a mineral cool plunge, a warm mineral Jacuzzi, eucalyptus steam room and outdoor shower. These areas are a clothing optional zone, so just beware you may see your share of unique trim jobs and other things you may or may not want to see! 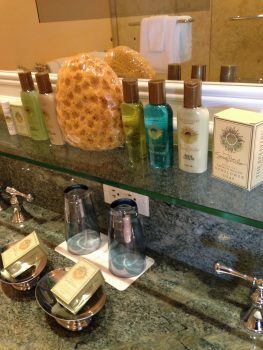 With all the amenities, the spa has to offer it is easy to spend all day there. You can work out, get a plethora of spa treatments, take a dip in the pool and if hunger strikes, enjoy lunch in one of the poolside cabanas. The restaurant on sight is Solbar and has excellent service and food. 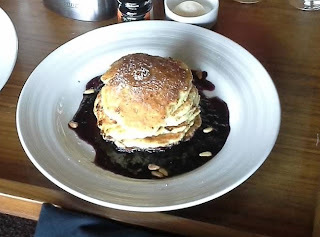 Our package included breakfast every morning and the Lemon-Ricotta pancakes are amazing. 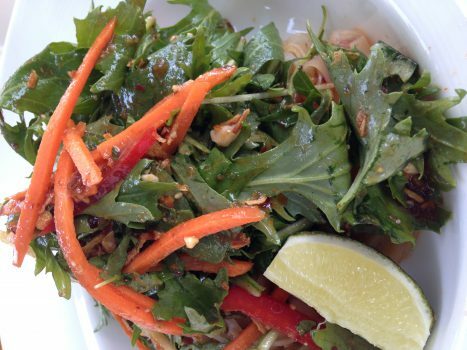 The dinner menu at Solbar is upscale but accessible and will please the pickiest palate. The Steak Frites dish has been featured on The Food Network show The Best Think I Ever Ate. The dining room during the day is bright and cheery while in the evening you will feel like you are in a very different restaurant with the soft lighting and fireplace. The restaurant is open to the public so it is a good idea to make dinner reservations, as Solbar is popular with the locals. Solage is partnered with Mercedes-Benz to offer complimentary use of their newest vehicle models to resort guests upon availability. We reserved the convertible one evening to use as transportation to nearby St. Helena where we dined at the Farmstead restaurant. The service and staff are delightful and accommodating and were amazing at helping us with transportation back to San Francisco to catch our flight after our previous arrangements fell through. This trip was truly a serene getaway. Everything was phenomenal and I will be returning. 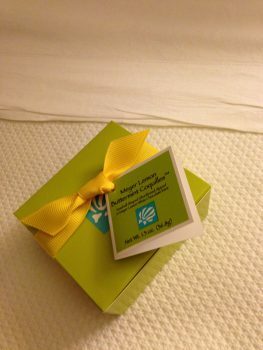 I would have no hesitation to recommend Solage and will stay there again. 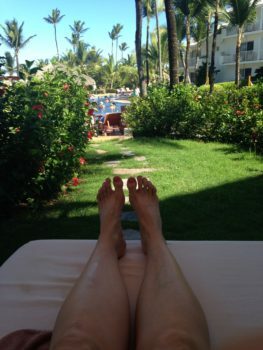 Our Travel agent Sue Griffin at Century Travel put our girlfriend’s getaway package together but you could use whomever you like or make your own. She did set us up with Jack Swanson of Swanson Wine Tours who was amazing. He drove us all through Napa Valley, took us to three wineries, and planned a stop for lunch. If you are looking for a wine tour contact Jack. I would do this same trip over and over again!! !